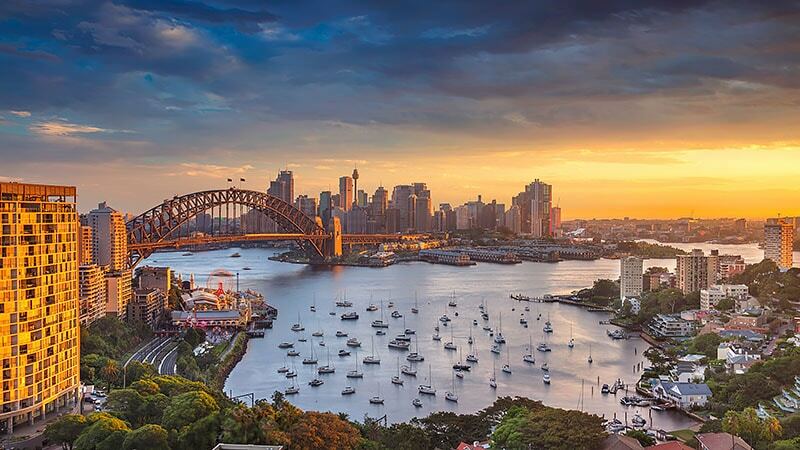 Sydney-siders will have no chance of boredom as summer rolls out with the city offering up plenty of fun for the next few months. Whether you’re a festival fiend, market addict or concert connoisseur, Sydney in autumn is undoubtedly coming up with the goods. From Mardi Gras to farmers markets, centennial park campouts and fashion events galore, the only problem will be finding the time to do everything. 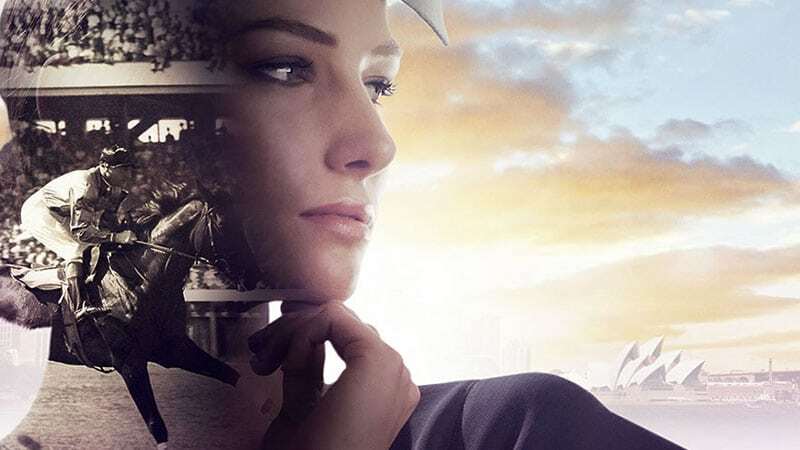 To help you sort out your social calendar, we have put together a list of the most fun things to do in Sydney this autumn. Rub shoulders with models, Insta stars and some of the biggest names in fashion at the Mercedes Benz Fashion Weekend Edition. Immerse yourself in two days of designer runways, VIP behind the scenes access and seminars from fashion and beauty industry experts. 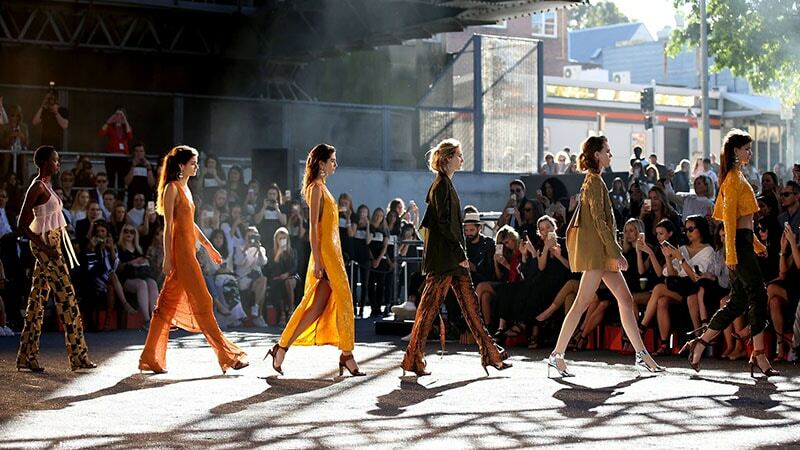 You can get a sneak peek at some of the latest collections from your favourite Australian designers and shop the runway. This is your chance to experience what its like to be a real fashion insider. Giddy up and get your fascinators ready Sydney as it’s nearly that time of year again. Yes, that’s right, Autumn Racing Carnival will be here before you know it. Get ready for six weeks of some of best fashion, entertainment and premier races that Australia has to offer. Australia’s biggest and most glorious celebration of equality will be exploding on to the streets of Sydney for its 40th year in a row. 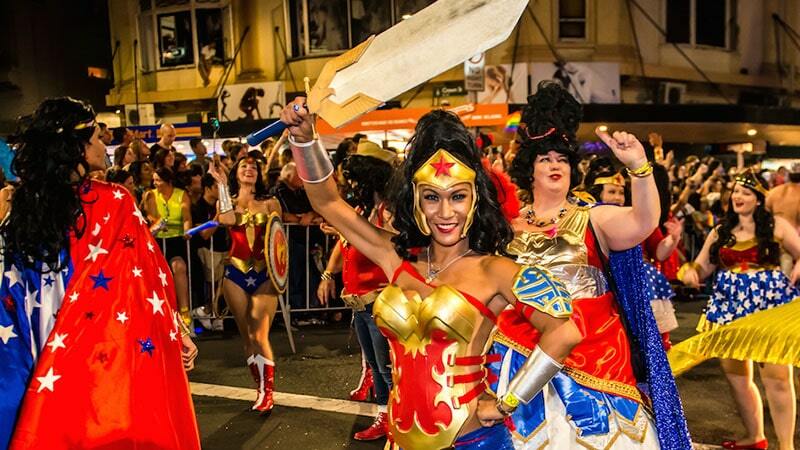 The parade is the centre of the dazzling Gay and Lesbian Mardi Gras Festival which spans over 17 days. 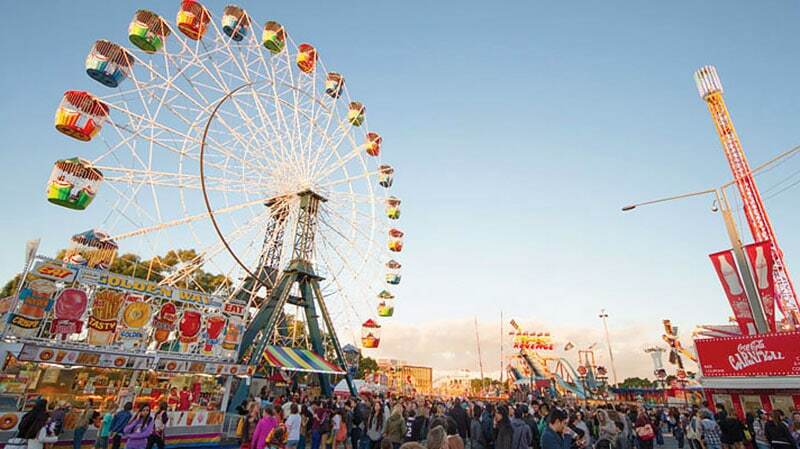 Family fun doesn’t get much better than at the Royal Easter Show. From animals and rides to fireworks and music, there’s plenty of entertainment and activities to keep all ages amused and immersed in this iconic event. 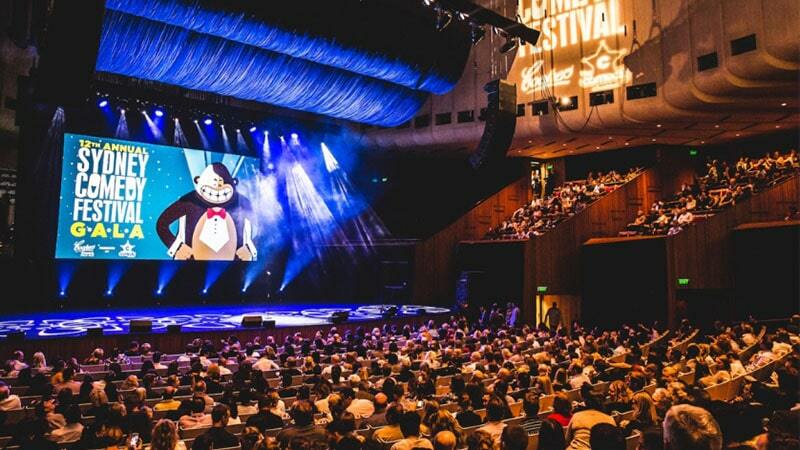 Big name Australian and international acts will be flocking to Sydney for the Sydney Comedy Festival. Acts include homegrown funny people such as Frenchy, Kitty Flanagan, Joel Creasey, and more. Hollywood heavyweight Shawn Wayans will also be bringing the lols. What could be better than 15 days of wine, food and art? Take in the country charm of the Mudgee region accompanied by the buzz of Pyrmont’s City centre. This year as well as plenty of food and live entertainment, Pyrmont Festival will be offering its biggest lineup of Mudgee wineries yet. If you’re not already sold, there will also be over 100 market stalls with plenty of yummy foods and cool knick-knacks. 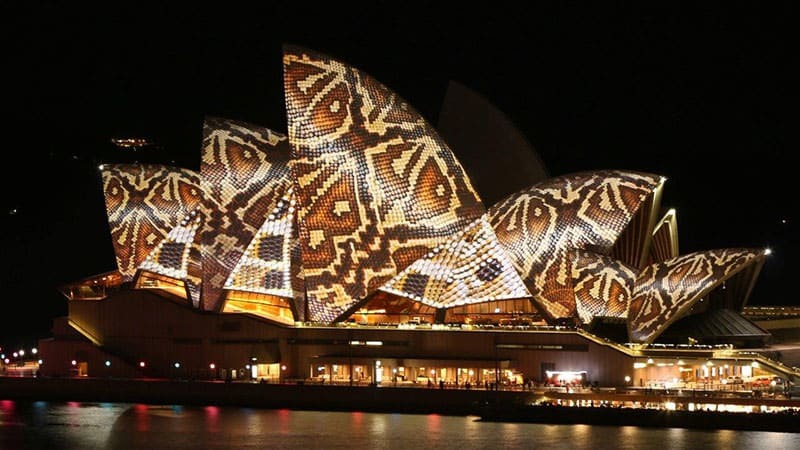 The world’s largest festival of light, music and ideas, Vivid Sydney is back again. Spend your last autumn nights viewing incredible ‘light art’ sculptures, listening to an eclectic range of live music and attending interesting talks at this fantastic event. 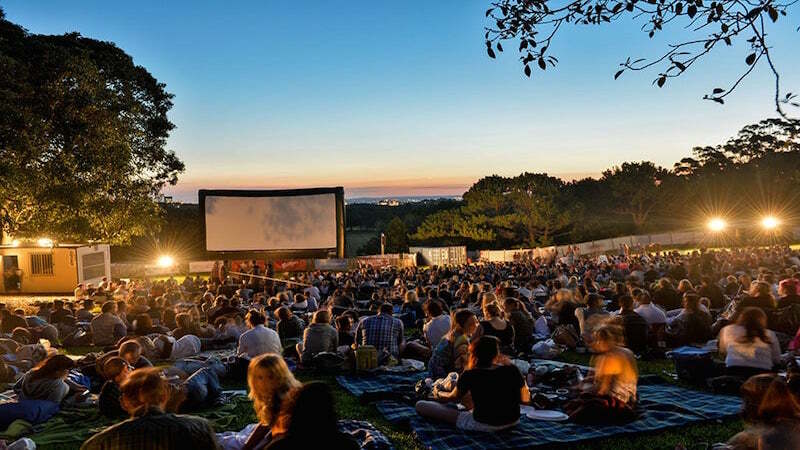 Australia’s favourite outdoor cinema has set up shop in Sydney’s Centennial Park until the 1st of April. If you haven’t already, make sure you get down and check out the stellar lineup of new movies and old favourites. Screenings include Three Billboards Outside Ebbing, Missouri, The Shape of Water, Mamamia, Bridesmaids and many more. 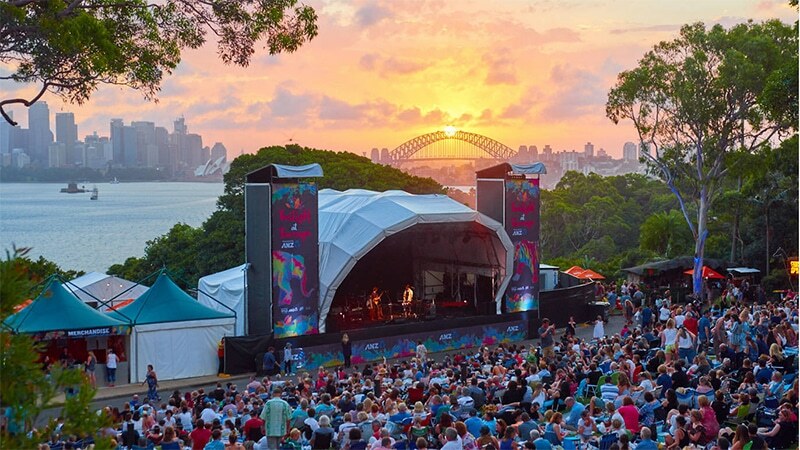 James Morrison, Kate Miller-Heidke, The Preatures, James Reyne, these are just a few of the big music acts appearing at this year’s Twilight At Taronga. We’d get in quick as tickets to these creature filled concerts are already selling out fast. Grab your picnic rug, order your gourmet hamper, and chill out to some classic tunes surrounded by the wildlife. The latest instalment in the Syndey Opera House’s Harry Potter concert series will be the Prisoner of Azkaban. 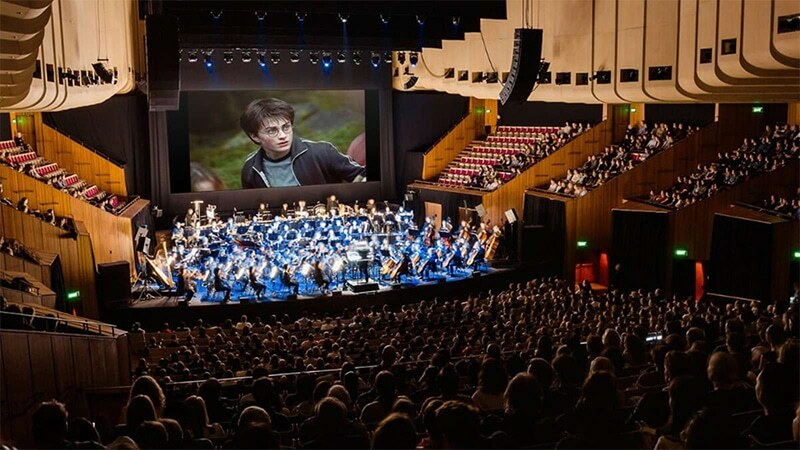 The third Harry Potter film will be screen in high def while the Sydney Symphony performs John Williams’ unforgettable score. 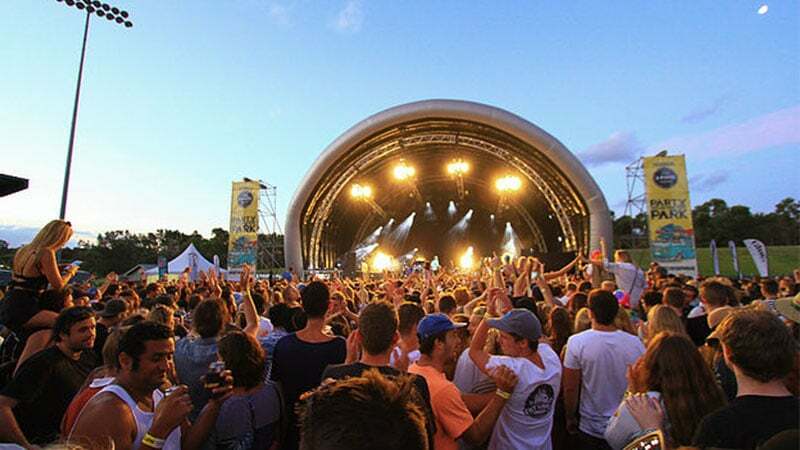 Spend your St Patrick’s day by getting down to The Entertainment Quarter at Moore Park. 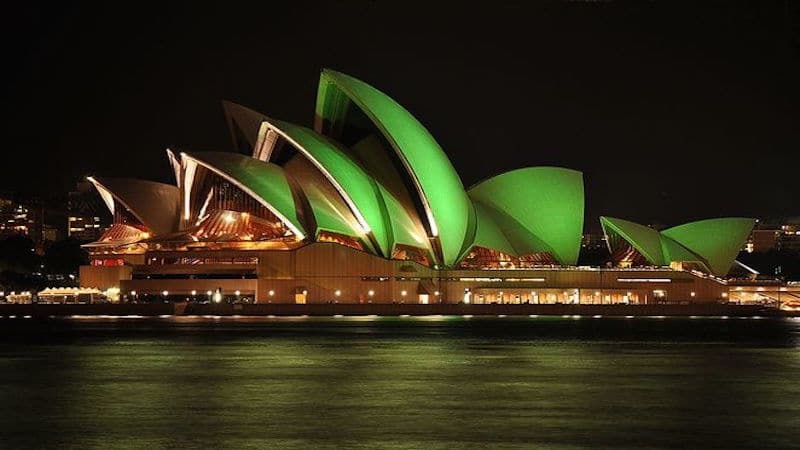 Brought to you by Guinness the Green Quarter will be the cultural hub of all things Irish. There will be plenty of entertainment and activities including live music, Irish dancing workshops and storytelling. 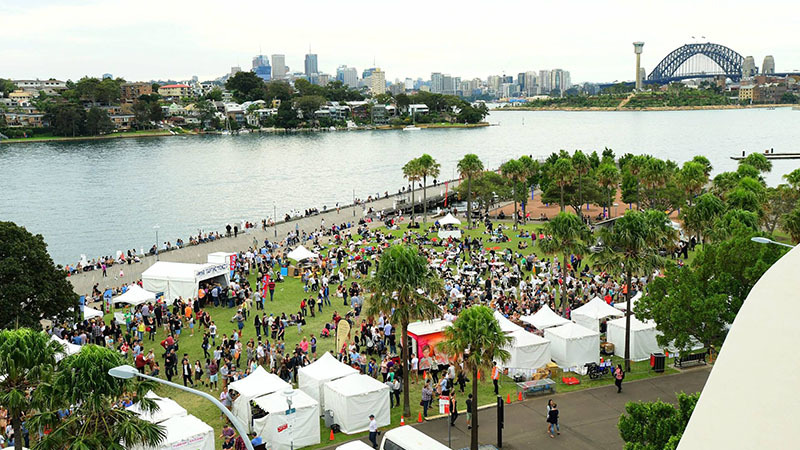 The Kirribilli Markets are your autumn destination for all things art, design, fashion and food. What’s not to love about that? Get down to the Burton Street tunnel and check out the range of artisan made products. Or if fashion and design are more up your alleys, head over to the Green and Gravel areas all while listening to live music and enjoying the vibrant atmosphere. Griffin Theatre is blessing us with batch Festival, a lineup of the freshest, edgiest and most innovative new shows in Sydney. 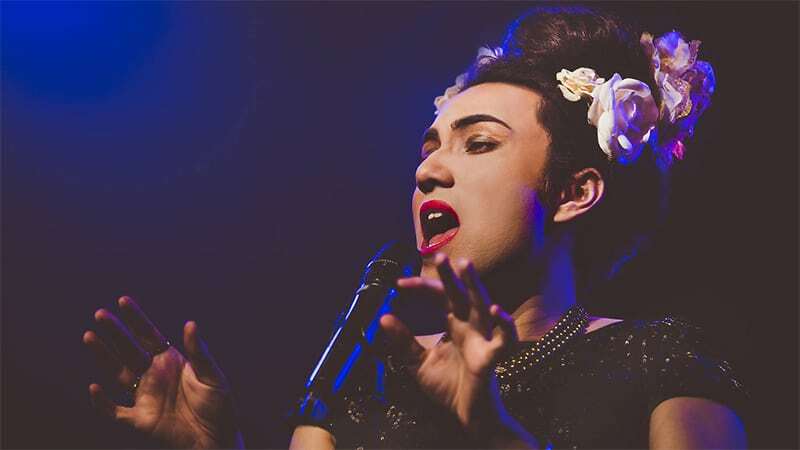 The iconic Stables stage will be taken over by emerging and notable Sydney talent, as well as international acts. With everything from poetry to comedy and non-traditional performance pieces, Batch Festival promises an inspired and eyeopening experience. After having to cancel last year’s event due to weather, Pary in the Park is back with a stellar new lineup and new (indoor) location. Come hang out with the likes of Art vs Science, The Creases, Kingswood and so much more while kicking back at Luna Park. 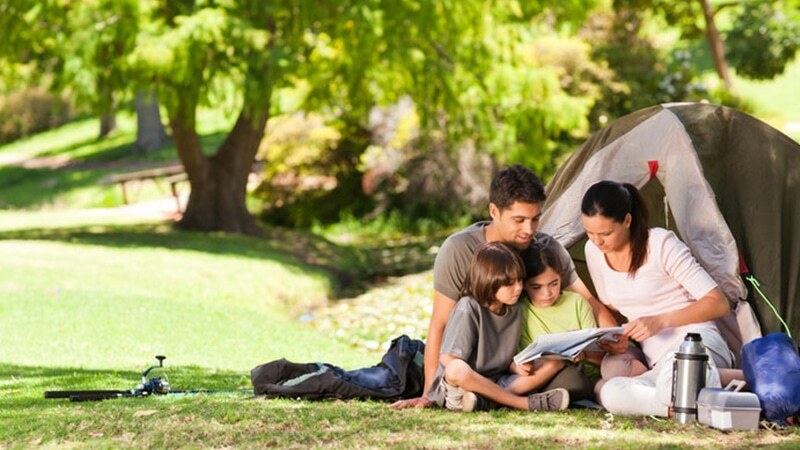 Get a tent and bring your sleeping bag down for an overnight camping trip in Centennial Park. Enjoy a BBQ while the park rangers introduce to the wonders of the park after dark.